What do you guys think? Agree? Disagree? I would love to hear some counterpoints for 8 1/2. I really enjoyed both of these films. If I had to choose I would say that The Bicycle Thief is the better of the two. This is just my personal preference. As for 8 1/2, I actually say the musical film Nine first (which was awful) so I already had a good idea of the story when I finally watched Fellini’s film. There is a dreamlike beauty to 8 1/2. Which is also why I can understand how you could find the film boring. Still, it worked for me. Hey, thanks for stopping by The Warning Sign! Glad to hear you enjoyed both films. I can see why a lot of people love 8 1/2, and it has certainly been very influential, but I just didn’t find it all that entertaining. Perhaps I will give it another shot someday — I have heard of others gaining a new appreciation after their second viewing. I had same feeling after watching 81/2. Its confusing and not entertaining enough. But if you think about the movie maybe after couple of days, you start appreciating a lot of things about it. I surely did. I still wouldn’t call it great, but I definitely can see why is it such an influential film. Hey, thanks for stopping by! Glad to hear I am not alone with 8 1/2. I definitely appreciate a lot of what the film accomplished, but it hasn’t had the same effect on me as so many other classics. 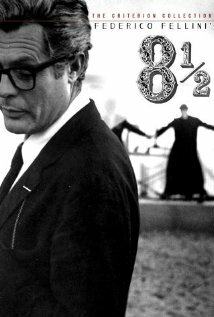 “8 1/2” was my first Fellini film, too, and I was also left perplexed. I have since seen a few more of his films, so something tells me I will enjoy it a lot more on a second viewing (and I do plan on viewing it again). You should make “La Dolce Vita” your next Fellini film, it has the same dreamlike beauty of “8 1/2,” but with a bit more narrative structure. I fell in love with that film hard, and will recommend it to anyone. 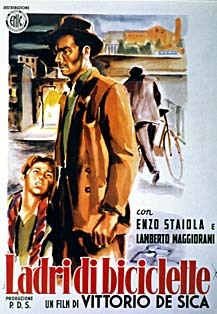 And of course, “The Bicycle Thief” is devastatingly brilliant. Hi there, thanks for the comment! I’ll be sure to check out La Dolce Vita. I’m not ready to give up on Fellini yet, so I will keep that in mind for a near future viewing. It’s also nice to see unanimous approval of The Bicycle Thief from everyone. What a fantastic film. I feel the same way about 8 1/2. No matter how many times I’ve tried to watch it, I always get an empty feeling. I felt a lot stronger about Fellini’s Armacord, so I would definitely check that out. That’s funny that you mention Armacord, I was just looking at that last night. It has a really interesting Criterion cover. I’ll be sure to check it out at some point, thanks for the tip!